A few ‘How too’s………living in kzn we are spoilt we have fine weather nearly all year round, we have a beautiful ocean which we can swim in all year round we have big 5 game farms 3hrs North of Durban we have a wild coast 3hrs south of Durban and a world heritage site in the Drakensberg just 3hrs west of Durban, but for buying wine it’s a little more difficult than if you lived in the western cape with the access to wine farms and lots of merchants and online purchasing options but I have looked at this and through winendine’s e commerce website we can bring you closer to your wines as well as offering them at the same or better value, with a personal touch and you’ll be able to have them delivered to you within hours, or a day depending on your location as the wines will be distributed from Durban. So we want to make your purchasing encounter a pleasurable one with a personal touch to make you feel comfortable on your choices and assist in those decisions if we can. The ideal temperature for wine storage is somewhere between 11°C and 14°C (52°F to 58°F). Note that there is an acceptable temperature range – but once chosen, temperature must not fluctuate. Since the speed of the average chemical reaction increases with temperature (the rate doubles for every 10°C increase in temperature), wine hardly ages at all if stored below about 10°C (50°F). Store it at 25°C (78°F), and an age worthy wine that would normally require ten years of careful aging, may be past its prime in just a few months. Now some of you may be thinking, “Why not just store wine in my closet? It’s warmer, it will age faster, and I can enjoy it sooner?” Bottles stored to peak quality at higher than proper cellar temperatures will always be inferior to a bottle stored to peak at the correct temperature. Period. And here’s why. Whereas all the various chemical reactions I mentioned will “accelerate” with rising temperature, each reaction “accelerates at a different rate”. This causes undesirable changes. For example, heat causes the solids (tannin and colour) to drop out at higher rates than the sugars and acids are reacting, causing an imbalance. So, storing at higher temperatures to shorten cellaring times is NOT a solution. On the other end of the scale, wines stored at very low temperatures will age much slower. Wine must be kept in an environment where temperature is constant and stable. An acceptable level of temperature fluctuation is said to be about 2 to 3°C (5°F) around the average once per year. Temperature stability is the “holy grail” of wine storage. Besides humidity, it is the most important of the storage requirements, and at the same time one of the hardest ones to achieve. Maintaining constant temperature over time is even more important than the actual average temperature level. Fluctuations in temperature allow more air/oxygen into the wine, since high levels of oxygen, a highly reactive gas, is the single most damaging thing to wine, bottles that have undergone repeated temperature cycling tend to lose their freshness (at best) or spoil (at worst). Relative humidity levels should range between 60 and 80 percent. Cork is a natural product and will deteriorate with time. And yes, the cork will still dry out even when the bottle is placed on its side. Although the bottom of the cork is in contact with the wine, the top of the cork is exposed to the air and influenced entirely by the conditions of the air around it. If the air is too dry, the top of the cork will dry out, shrink, crack and allow more air to come into contact with the wine.an important factor in KZN as in summer our humidity levels can be high. Wine needs to be kept in an odour-free environment. Since some air will always get back into the wine through the cork, the molecules that make up that odour can, and will, get into the wine over time (i.e. we’re talking years here, not from simply painting the house). Certain odours are fairly benign. Others like highly volatile chemical compounds are particularly harmful. Odours to look out for include solvents (i.e. fresh paint, cleaning solutions), or various aromatic food products like onions, garlic, etc. Don’t store these around your wines. Wine should not be subjected to excessive amounts of light. Light, especially the short wavelengths, breaks down the complex molecules that create some of the special flavours in properly aged wines. This is rarely a problem since wine is already well protected in glass that virtually absorbs all ultraviolet rays. Dark-coloured glass absorbs most other light. Low-level lighting will not harm wine. But please, keep out of direct sunlight! The jury is still out regarding the effect of vibrations on wine. Some purists insist that vibrations affect flavour and bouquet. This is certainly true at the “drinking stage” – all old reds need a few days to rest quietly (in an upright position) to allow the bitter sediment to settle. But there really is no clear evidence (that I know of) that suggests this is as an important issue during the storage stage – provided the vibrations are not extraordinarily strong and persistent. At the risk of losing potential customers, let’s be frank. The vast majority of wine out there today (95%?) is “ready-to-drink”. Manufactured for immediate consumption, they will NOT improve with time. In fact they will start to degrade from the day they’re corked – even if properly cellared. Proper cellaring will maintain your “ready-to-drink” wines much longer, but it will not improve them. Not to say that “ready-to-drink” wine means low quality – far from it. 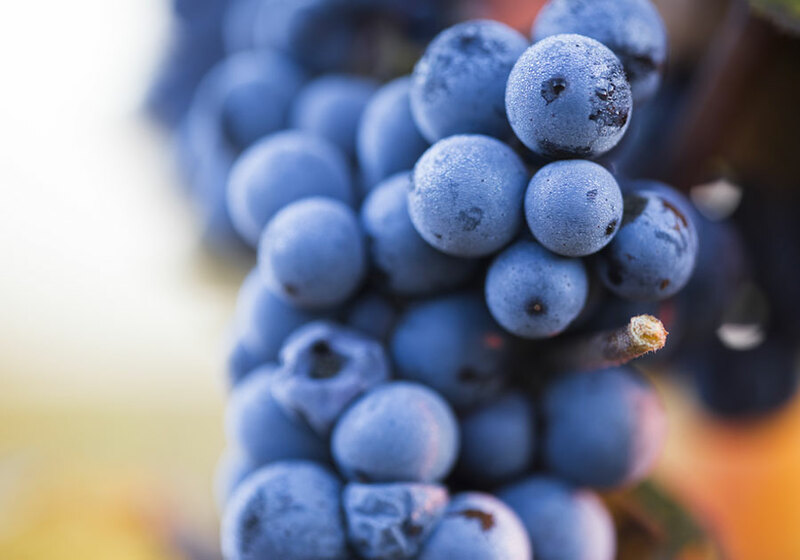 There are very high quality and very expensive “ready to drink” wines (and grape types) that are simply not designed to be age-worthy, if kept for only short periods, (i.e. few months) specialized storage is not an issue for the average wine drinker, the average wine, or any wine for that matter. Most “ready to drink” wines can be safely stored up to 8 or 12 months or so without significant loss of quality as long as it is kept in an area with the following minimum conditions: away from direct sunlight, between of 4°C and 18°C (40°F and 65°F), temperature does not fluctuate more than about 2 to 3°C (5°F) – at least not too frequently?! And relative humidity levels are greater than 50%.